Noel Gallagher's first post-Oasis single 'The Death Of You And Me' is now streaming online via YouTube and you can watch it in the player above. If you were expecting more of the same from Noel, you might be surprised. 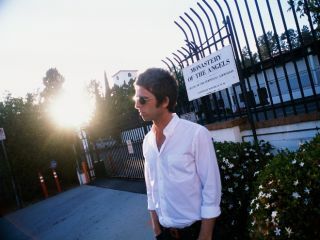 The new track has more in common with Oasis' 2005 single 'The Importance Of Being Idle', than their last studio album 'Dig Out Your Soul'. There's even a bit of New Orleans-style swing and brass in there. The song is the first single from Noel's forthcoming solo album 'Noel Gallagher's High Flying Birds', due for release on Sour Mash Records (his own label) on 17 October. Check it out on the video above and let us know what you think on TG's Facebook and Twitter pages.